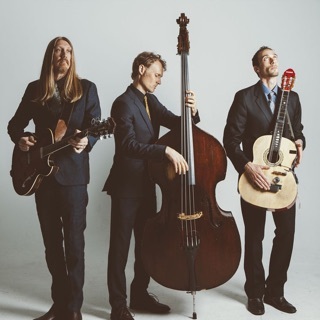 Energetically playing bluegrass and roots music with all the abandon of a rock band, Virginia's Hackensaw Boys took their name from the way they tended to hack and saw at their instruments. After establishing themselves locally, the group got their first national exposure in 2002 as part of the Unlimited Sunshine Tour, holding their own alongside eclectic tourmates like Modest Mouse and De La Soul and eventually serving as Charlie Louvin's back-up band. Albums like 2005's Love What You Do and 2007's Look Out! showed their measure in the studio while live sets like 2013's Live 'Til the Sweet By and By revealed the dynamic stage prowess they'd built their reputation on. After a lengthy break from studio work, they returned in 2016 with the full-length Charismo. The Hackensaw Boys were formed in 1999 in Charlottesville, Virginia. The original lineup featured Rob Bullington on mandolin and guitar, Tom Peloso on fiddle and upright bass, David Sickmen on guitar, and Bobby St. Ours on banjo and fiddle. The four musicians had crossed paths in the Virginia roots music community, and when Sickmen and Peloso decided to form a new group, they recruited Bullington and St. Ours. Initially, the Hackensaw Boys made their way busking for street traffic, and as their reputation spread, they graduated to club shows and theaters. They also added guitarist William Gage by year's end, as well as percussionist Justin Neuhardt. Neuhardt was responsible for creating one of the group's trademarks, the Charismo, a percussion instrument worn like a rubboard and made from tin cans, hubcaps, and bits of scrap metal. By 2000, the group had a touring vehicle (a 1964 GMC Motor Coach) and began hitting the road at a steady pace. That year, they also recorded and self-released their first album, Get Some. The Hackensaw Boys soon began to expand, as members drifted in and out of the group. The Hackensaws have included as many as 12 musicians at a time, and according to the band, at least 21 people have been in the lineup at one time or another. In 2002, the Hackensaw Boys self-released a live album, Give It Back, and signed a deal with Valley Entertainment, who put out the band's second studio project, Keep It Simple. (They also reissued Get Some.) Also in 2002, the group took part in the Unlimited Sunshine Tour, a traveling festival headlined and curated by Cake. Sharing the stage with Cake, the Flaming Lips, De La Soul, and Modest Mouse, the tour introduced the Hackensaw Boys to a new and more eclectic audience. (The tour also introduced Tom Peloso to Modest Mouse; Peloso would leave the Hackensaw Boys to tour and record with Modest Mouse in 2004.) In 2003, country music legend Charlie Louvin took part in the Unlimited Sunshine Tour, and recruited the Hackensaw Boys to serve as his backing band. That year also marked the band's first appearance at the Bonnaroo Festival, as well as St. Ours' departure from the Hackensaws. 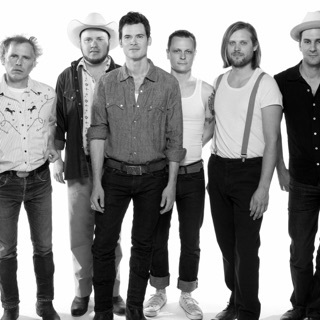 In 2005, the Hackensaw Boys signed a deal with Nettwerk Records, who released their third studio album, Love What You Do. David Sickmen left the group the same year, though that didn't slow down the Hackensaws' touring schedule, as they continued to play festivals and theaters in America and Europe. Retro-roots artist Pokey LaFarge joined the group in 2006 for a short run before going on to a solo career. The Hackensaw Boys' second album for Nettwerk, Look Out!, arrived in 2007. Not long after it hit the streets, Nettwerk and the Hackensaws went their separate ways, and they self-released their next EP, 2010's The Old Sound of Music, Vol. 1, followed a year later by Vol. 2. The group had been shrinking into a more practical size during this period, with Bullington striking out on his own in 2011. It wasn't until 2013 that they released a new album, a live set titled Live 'Til the Sweet By and By. (Another live disc, For the Love of a Friend: Live in Kinderdijk, appeared before 2013 was out.) In 2014, banjo player Jimmy Stelling, who had ended an eight-year run with the band in 2007, returned to the lineup, while David Sickmen had rejoined the Hackensaws the previous year. Joined by fiddler Ferd Moyse and percussionist Brian Gorby, the Hackensaw Boys once again had a stable touring and recording lineup. In 2016, the group returned with their first studio album in nine years, Charismo, named for their trademark percussion instrument. A combined edition of their two 2011 EP's (The Old Sound of Music Vol. 1 & 2) was reissued in 2018 as The Old Sound of Music Sessions.